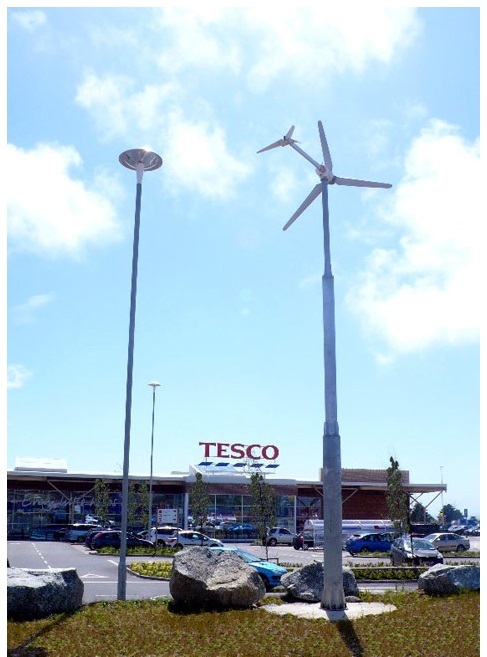 The “eco” concept behind the landscape works at Tesco Tramore is simple but effective. In order to reduce the carbon footprint of the project, the landscape materials were sourced within a 100km radius of the site. The shipping of plants from distributors outside of Ireland would have increased the level of transport pollution. 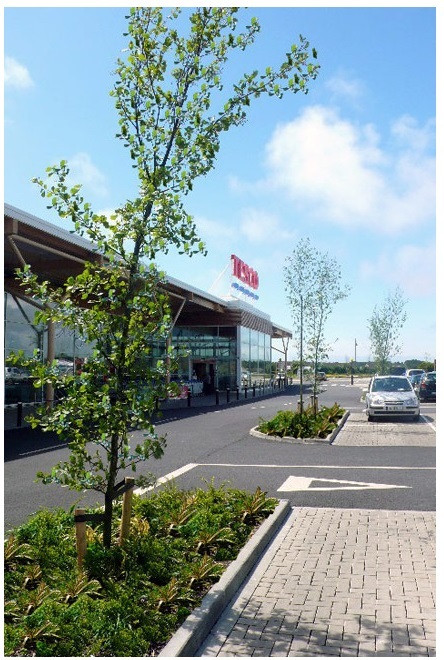 An extensive amount of tree and shrub planting was carried out within the car park area compared with similar retail outlets in order to increase the social sustainability of the site. The majority of the tree species planted within the scheme are indigenous to Ireland. Therefore they are less susceptible to pests and diseases here and thus do not require a high resource input. They sustain more invertebrates, bird life etc than non-native trees also and thus increase the biodiversity of the site. The shrub species used are non native and this was for site-specific operational reasons. They were however; grown from seed within an Irish nursery and therefore are best adapted for Irish conditions and are less susceptible to plant failure. A peat free growing medium was specified to keep the ecological damage caused by the project through the extraction of raw materials to an absolute minimum. Topsoil removed from the building footprint was stored during the construction of the store and recycled in the planting pits at the end of the project. This omitted the need to import soil from another site. The correct storage of the topsoil also reduced the need for large amount of soil amendments. Where fertiliser was incorporated, it was specifically required to be either well rotten farm manure or organic slow-release compost. Some of the benefits from the use of organic fertiliser are that it improves soil structure and the water holding capacity of the soil. The use of artificial chemical fertiliser was not acceptable since prolonged use can destroy nitrogen-fixing bacteria in soil, which in turn can affect plant health. 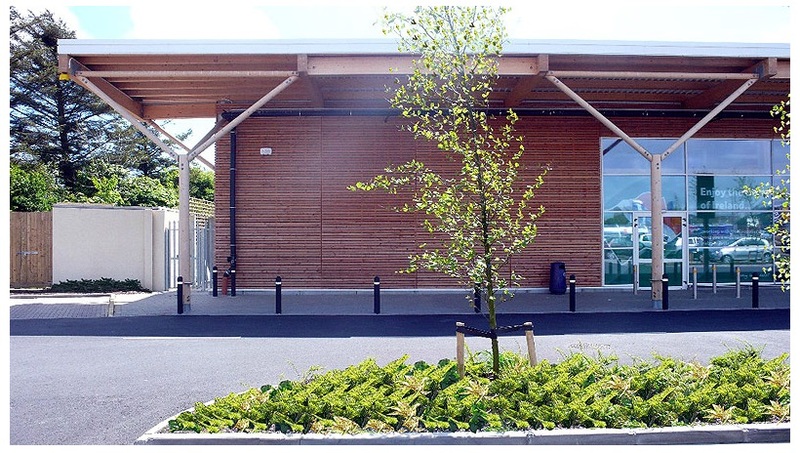 The bark mulch used on site was from an Irish woodland specifically grown for this purpose and therefore did not cause damage to a protected woodland habitat elsewhere. The use of herbicide during the landscape works was prohibited and other more environmentally friendly options were made available to the landscape contractor. Other eco friendly initiatives were in operation during the plant establishment period such as a recycling policy for shrub pots and other horticultural sundries. 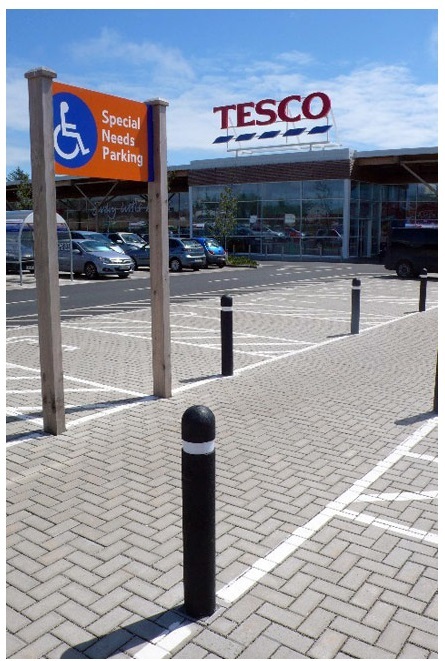 No grassed areas are located within the site to reduce the energy demands associated with its maintenance. 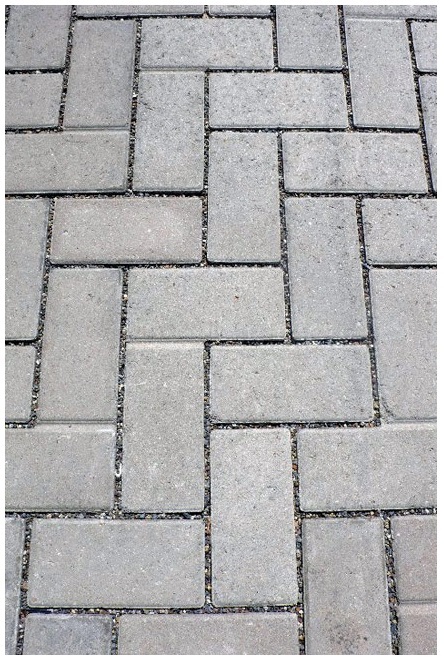 Every landscape component used in the project was reviewed before a sustainable choice was made about it. They were simple moves which overall cumulated into a more environmentally friendly project and as they say “every little helps”.